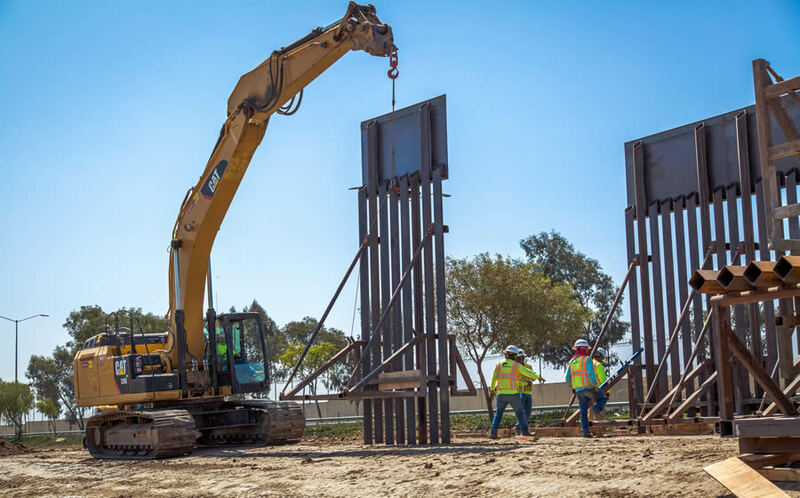 Construction Workers install a new section of the U.S.-Mexico border wall on June 19, 2018, in California. In their rebuttal to the president’s Jan. 9 nationally televised address outlining the need for a border barrier and his request for $5.7 billion in funding for them, both described the proposed wall as “ineffective” — Pelosi once and Schumer twice. Insisting that walls are “ineffective” over and over again doesn’t make it true. The facts on the ground — both in the U.S. and around the world — not only don’t support that opinion, they decisively refute it. Walls along four Customs and Border Protection sectors — El Paso; San Diego, Calif.; and Tucson and Yuma, Ariz. — have reduced illegal immigration “by at least 90 percent,” according to the Republican National Committee’s Borderfacts.com page. The comparable before-and-after figures for the San Diego sector, according to the Border Patrol, were more than 565,581 in 1992 and 26,086 in 2017 — a 95 percent reduction. Their only real reason now for opposing a wall that both previously supported — and with far more funding for it then than what’s on the table today—is to deny the president a win on border security. More walls and fences of the sort Trump envisions would discourage many would-be illegal immigrants — especially women and children, who would be unable to scale them—from even attempting to migrate here from Central America in the first place. Peter Parisi is an editor and writer with The Daily Signal.